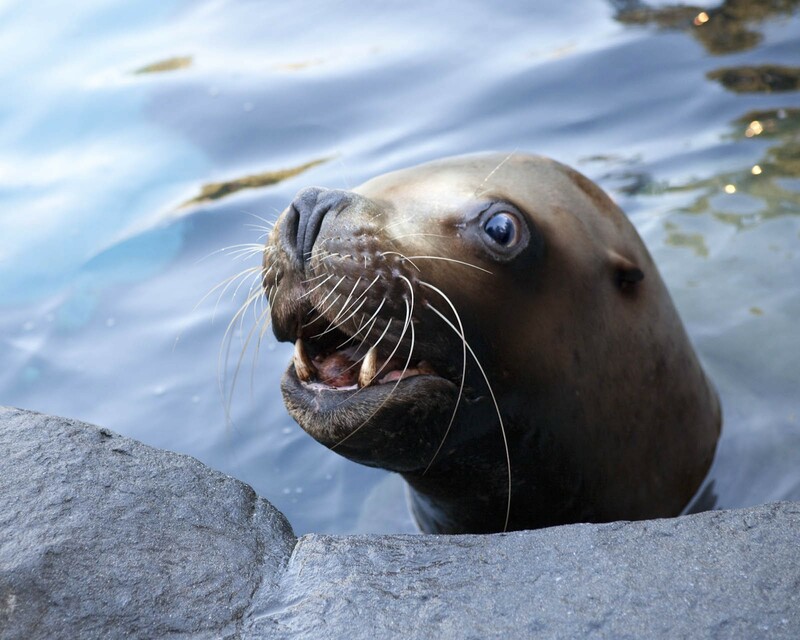 The Oregon Zoo laid to rest a 27-year-old male sea lion named Gus—the oldest male stellar sea lion in the United States, and perhaps the world—Sunday, following complications of advanced age. In the wild, male stellar sea lions rarely live past age 18, the Oregon Zoo said in a release. Gus came to Portland in 2004 from Connecticut’s Mystic Aquarium and had formed strong bonds with some of the zoo's keepers he'd known for the past 10 years. He also reportedly bonded with some of the Asian elephants, and had his 15 minutes of fame when a touching moment with the elephant Chandra was caught on camera and featured as both an internet meme and in the book Unlikely Loves, a 2013 bestseller National Geographic writer Jennifer S. Holland. Over the last two years, Zoo staff said they regularly discussed the decline in Gus's health and did their best to keep him comfortable until the time came for him to be euthanized. Check out video of Gus living it up on his 27th birthday below.